A couple of years ago a resident of London experienced a freak accident after falling down on the train tracks which managed to maim one of his arms. The experience left James Young one missing arm and a left leg. He had twelve surgeries to fix what was missing and ultimately changed his life forever. After the surgery, James was given a prosthetic arm that had a utility hook at the end, but it served him more stress when using the arm. He decided not to use it because it looks more conspicuous and painful when attached. James Young finally had a change of heart when he saw an ad from Konami, video game developers, searching for gamer amputees. James was always an avid gamer and dealing with one arm proved to be very stressful for him when playing. It just happened that he is a fan of the “Punished Snake” from one of the MGS series and the character in the game was not short of inspiration to him when Snake lost his arm. Konami’s goal was to find an amputee that willing to test out a prosthetic limb that was in tie-in for the Metal Gear Solid 5 release. The prosthetic arm was designed, and custom made especially for James and it includes state of the art robotic that can be controlled by attaching sensors to his shoulder muscles. The project was designed by Sophie De Oliveira Barata, famous alternative prosthetics artist and the founder of Alternative Limb Project. The designer was also the known for helping an amputee popstar Viktoria Modesta for the incredible, jaw-dropping prosthesis. The arm that Sophie created looked like it just came out of the video game. The futuristic limb has sleek metal lines with LED lights to make any gamer happy and nerd out. The robotic arm has cool features installed in it such as a laser pointer, flashlight, watch, and a USB port for charging any external gadget. Sophie also designed the arm to have an RC drone installed on the shoulder part that can fly around. The whole cyborg arm is attached to a harness around James’ body which also covers the sensors. It is true that Sophie Barata gave the robotic arm the look and feature of the prosthesis based on the video game, but it was all Open Bionics that made it all happen. 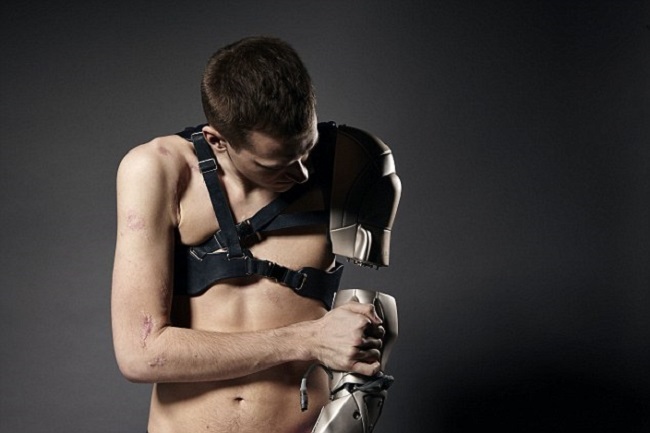 The actual design was based from one of the award-winning 3D printable bionic limbs. The sophisticated bionic design was built to carry anything from bags to small objects such as coins and pens. 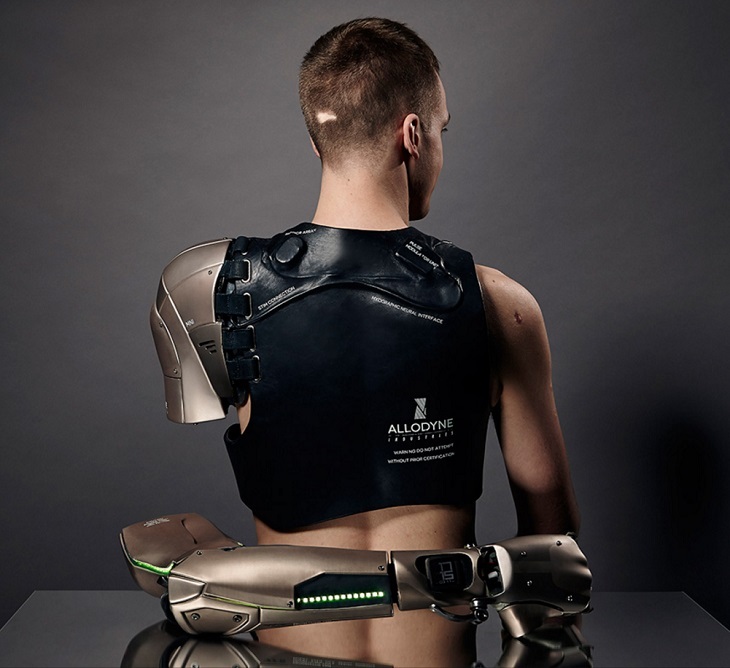 The material used to create the arm might look metal rather it was made of a soft material which makes it very comfortable to wear. There’s only one catch, since it still a prototype and not final, the gadget still needs to be service once in a while, and none of these prosthetics are out in the market. Also, the cost of creating the device amounts to $130, 000 which is why James has a crowdfunding over at GoFundMe website.